We are strongly backed by a smart logistics network owing to which we are capable to deliver the product range in safe and timely manner. Keeping the quality standards high, we make certain that prior to production, the inputs (raw material) are examined by the professionals to make the final product free from defects. 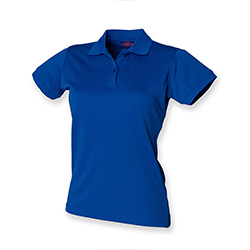 WB-1806 Sports Polo T-Shirt has a distinct design with a highly breathable fabric and is available in different colors.